4 Comments on A Marriage. To have or to not have. I’m not against marriage. 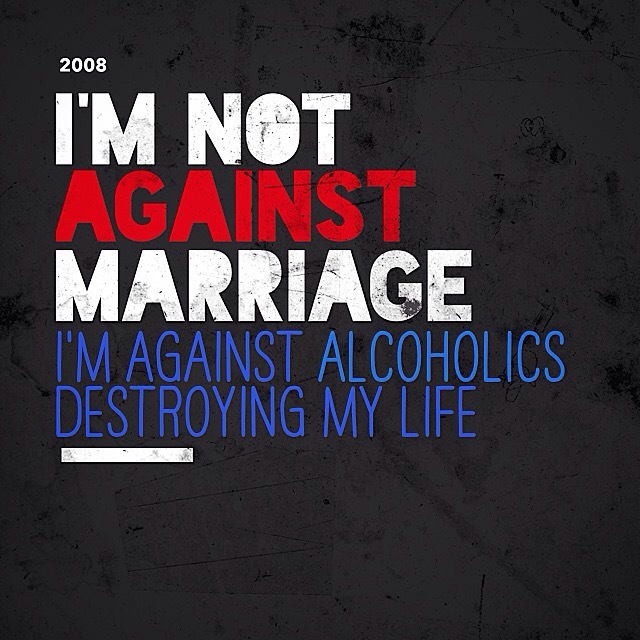 I’m against alcoholics destroying my life. So I left my husband. My mother had much too much influence over me in the past, convincing me to marry an unstable person. And I actually did it! Sadly, once I married him, I finally had her approval. But the price was enormous, so I eventually left him. You can bet your life I’ll make it my own decision next time. Thankfully she’s out of my life now, but I’ll never forget the disturbing lessons she taught me. Toxic people are ever worth keeping, even if they’re a parent. It’s an Impala. It just occurred to me days later that if it was a Caprice, there would’ve been holes on the center of the front of the hood for the fleur de lis crown. Likewise with the quarter panel on both sides by the back seat windows. Btw – my father has a red, ’69 Chevy Super Sport convertible sitting under tarps in his backyard. Yeah, think it’s an Impala (saw post on your wall). I used to have restoration places send him catalogs for parts but he never had the * to actually start restoring the car. Shame. He’s the type that knew everything, yet knew nothing. Sad. Anyway – I’m sure the car is probably still there, home to raccoons. Feel free to post! I’m thinking most folks are thrilled to know they’re not alone — men and women alike! One day, if either one of us is ever tapped for conversation.